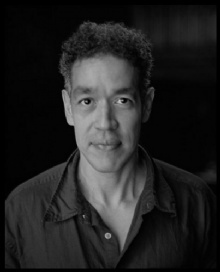 Andres Serrano is a famous Photographer from USA, he is 68 years old and still alive, born August 15, 1950. Serrano's work has aroused strong public reaction in the United States, and he has also been accused of blasphemy by members of the U.S. Congress. Serrano's most famous works, Immersion (Piss Christ), shows a crucifix submerged in the artist's urine. Piss Christ, as the plant popularly called, is part of a series of works that use human body fluids such as artistic and metaphorical material. Another much-discussed video is The Morgue, a group of "portraits" of brutally killed and killed people from various morgue. In April 2011 was Piss Christ vandalized by a group of violent extremists Catholic. He is born under the zodiac leo, who is known for Ruling, Warmth, Generosity, Faithful, Initiative. Our collection contains 27 quotes who is written / told by Andres. "Whenever possible, I operate outside the system"
"Unfortunately, the Church's position on most contemporary issues makes it hard to take them seriously"
"Some people have compared the Klan images to ecclesiastical figures"
"People have to find ways of explaining the work"
"One of the things that I am happy about in my life as an artist is that I am not considered a Hispanic artist"
"Oftentimes we love the thing we hate and vice versa"
"My work is intensely personal"
"My work has social implications, it functions in a social arena"
"My use of the medium - photography - is in some ways traditional"
"In my work, I explore my own Catholic obsessions"
"I usually refer to myself as Hispanic"
"I think if the Vatican is smart, someday they'll collect my work"
"I like to believe that rather than destroy icons, I make new ones"
"I like the aesthetics of the Church"
"I like going to Church for aesthetic reasons, rather than spiritual ones"
"I have never voted in my life"
"I have never been able to see myself as fitting into one category, and I have never been able to limit my contact with people to one group of people"
"I have always felt that my work is religious, not sacrilegious"
"I have always felt that I am the sum total of my parts"
"I don't think that because I am Hispanic I should therefore do Hispanic work"
"I am just an artist"
"I am drawn to Christ but I have real problems with the Catholic Church"
"I am an artist first and a photographer second"
"Being born, especially being born a person of color, is a political act in itself"
"As a former Catholic, and as someone who even today is not opposed to being called a Christian, I felt I had every right to use the symbols of the Church and resented being told not to"
"An artist is nothing without his or her obsessions, and I have mine"